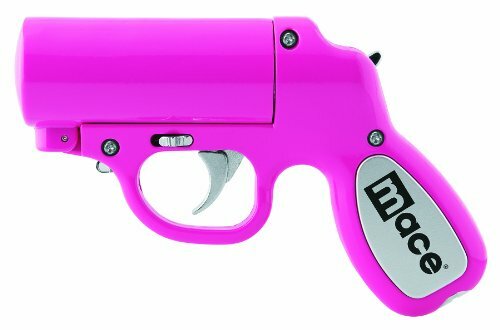 The Mace Pepper Gun is one of the most accurate defense sprays available. 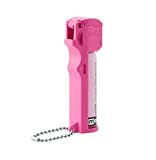 The OC pepper spray formula is contained in a replaceable cartridge. The cartridge utilizes advanced bag-in-a-can technology that allows you to spray a constant stream,reaching up to 20 feet, from any angle.The trigger-activated LED light disorients an attackers vision and helps to accurately aim the Mace Pepper Gun in low-light situations. Each Pepper Gun includes a 28 gram OC cartridge with UV marker dye ingrediant, a water practice cartridge, and batteries for LED light opperation. The latest in pepper spray technology - Mace Pepper Gel is a patent pending formulation of maximum strength OC pepper (1.4% capsaicinoids.) The OC pepper is suspended in a sticky gel instead of a liquid. The gel formulation has several advantages: it sprays farther, is less contaminating to the surrounding area and the thick formulation sticks to an attacker’s face. Pepper Gel also contains an invisible UV Dye which marks an assailant and may aid in identification. 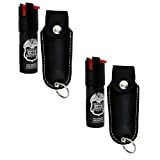 Police Magnum Pepper Spray - Keychain Unit ORMD Pepper Spray with Black Leatherette Keychain Holster. Model: PM400. Measures 3". Black leatherette keychain holster. Contains 0.5 ounces of pepper spray.